The Tele-View Equine Dental Camera is an extremely durable dental camera made to image equine teeth. The Dental Camera attaches to either computers, tablets or Android phones via the USB cable. 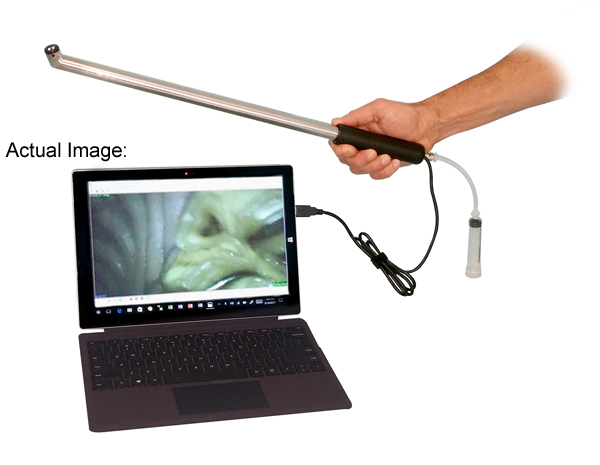 It utilizes the same video capture software as the Tele-View USB Endoscopes/Gastroscopes which allows for you to save video and images to the computer/tablet/Android device. The camera utilizes a High Definition Sensor and Bright LED lights to give high quality images and videos. The camera handle is super strong stainless steel tubing to increase the product’s life.